It is tragic whenever something sad, lamentable, disastrous, or misfortunate happens to someone, especially someone we know or care about. However, it takes more than a little sadness or misfortune to create a great literary tragedy, and in Old Time Radio we get to enjoy some of the very best. 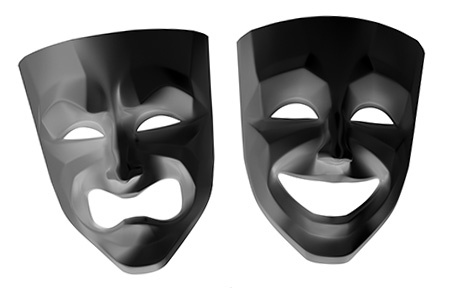 The symbol of actors and theater is the twin masks of Comedy and Tragedy, and just about every drama ever created falls into one or the other of these forms. Everyone knows the difference between Comedy and Tragedy, but what makes a story one or the other can be difficult to place your finger on. The simple difference is that one makes you laugh and the other makes you cry, and some beginning Shakespearean scholars will tell you that a comedy is just a story where nobody dies! Crafting a great tragedy (or comedy for that matter) means being in tune with important concepts of the human condition. The ancient Greeks explored the differences between tragedy and comedy and left us some useful guidelines. Aristotle taught that comedies were about ordinary people who you would recognize on the street and that their conditions went from bad to good in the course of the story. Tragedy, however, moves from a good or happy situation to a bad one, and to evoke the greatest sense of sadness from the audience, the characters are decidedly above average, heroes, gods, or royals. This fall from grace results from a tragic flaw rather than dumb luck, but it is usually something that the tragic character has no control over. In other words, their fate is in the hands of the gods, and although sad, what they get is what they deserve. If the Greeks had a favorite fatal flaw for their tragic heroes, it was probably hubris or excessive pride. Humility is not a feature we often see in these larger-than-life heroes, but even a little would do a great deal to soften their eventual fall. Those who are afflicted with hubris do not see that what they are doing could possibly be wrong, in fact, it almost has to be right because they are the ones doing it. The Weird Circle presents a chilling tale of hubris in "The Vendetta" where the Italian tradition of an eye for an eye costs one man his daughter. "The Fall River Tragedy" on Suspense looks at ax murder from Lizzie Borden's perspective. The hubris of royal privilege is explored in "Rendezvous at Mayerling" on Theatre of Romance and The Matinee Theater. 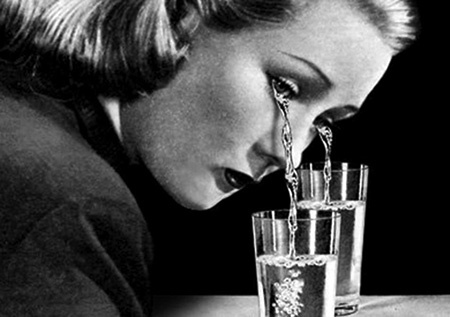 A well crafted literary tragedy will provide the audience with a huge catharsis or release of emotion. The theory is that despite the hero's tragic flaw, the audience will have enough emotional investment in his situation that when the fall comes they will feel it with him. Catharsis is said to have a healing or purifying effect, as though experiencing the tragedy on stage will help us to better deal with the minor tragedies in our everyday lives. Columbia Workshop presents three cathartic tragedies in this collection, "The Trojan Women", "Portrait of Jenny", and Lucille Fletcher's "Some One Else". We hear of a vaudevillian's tragic talent in "The Night Has a Thousand Eyes" on The Philip Morris Playhouse. Crime Classics gives us "The General's Daughter, The Czar's Lieutenant and The Linen Closet", a very Russian take on the tragic form, while Gunsmoke tells of "The Tragedian", a broken-down Shakespearean actor who wanders through Dodge City. Literary tragedies may be cathartic and healthy, but do they soften the impact of real-life tragedies? OTR provides plenty of these so that we can make observations. The heartbreaking tale of death in the coal mines is presented on Silver Theatre. A deadly race to the South Pole is presented by Suspense in "The Diary of Captain Scott", but the saddest tragedy of all may be the entire premise of Mutual's I Want a Divorce. Be the first to comment on "Tales of Tragedy"